The Khaitan group mainly into electricals have forayed into retailing in India. They are setting up retail outlets known as Khaitan City and Khaitan Fantasy. Khaitan City: One stop shop for all your electrical needs. If you are building a house, then you should visit haitan City to get all the ISO-9000 certified electical goods for your dream home. Khaitan Fantasy: It is a retail chain of stores that will sell fans. Fans ? No A/Cs ? I don’t know but theyr just quoted Fans. 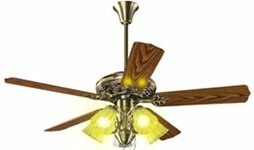 So if you are looking for fancy fans in your Home and Office, then check out Khaitan Fantasy. Khaitan also wants to have a PAN-India presence in 3 years.